After releasing the controversial Lakshmi's NTR, RGV is looking to make another biopic very soon. 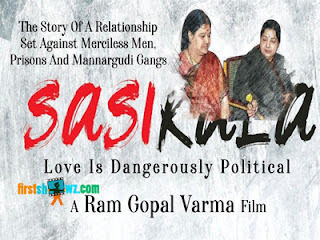 While the Kollywood biggies are lining up to make biopics on Ex-Tamil Nadu Chief Minister Late Jayalalitha, RGV has surprised one and all by announcing a biopic on Sasikala, known as Chinamma. RGV and Controversies are inseparable, and looks like the maverick director is gaining lot of publicity by making films based on political biggies. He has targeted AP CM CBN and his party TDP with Lakshmi's NTR without caring the consequences. With Sasikala announcement, Ram Gopal Varma sure is garnering loads of publicity. Stay glued to this space for more interesting updates of the project.